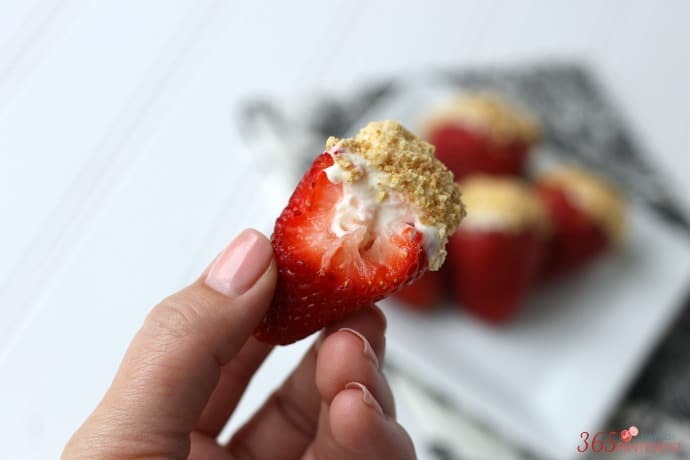 With only 5 ingredients, these cheesecake stuffed strawberries are a perfect dessert or party snack! 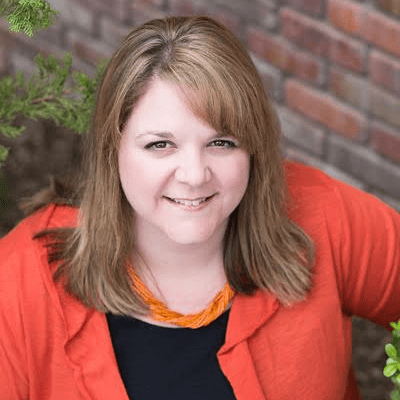 This is a great recipe for kids to help with, too! My husband and I love to go on dates. We also have three boys and very little money so we don’t go on as many as we’d like. So when he asked me out (or “in” as the case is anymore) yesterday I knew we had to do something besides sit on the couch and watch a romantic comedy on Netflix. He suggested that we pick one of my pins and do it together. We scoured my Desserts board for something that we could do that was fairly easy, not too time consuming and would include ingredients that we already had in the house. We elected to try Cheesecake Stuffed Strawberries and Carmelitas. Yes, one dessert would have been enough. Don’t judge. We worked together in the kitchen. Jared prepped the strawberries and I worked on removing the wrappers from the caramels for the cookie bars. I’m now convinced that the same people who wrap DVD’s and CD’s also work in the caramel business. 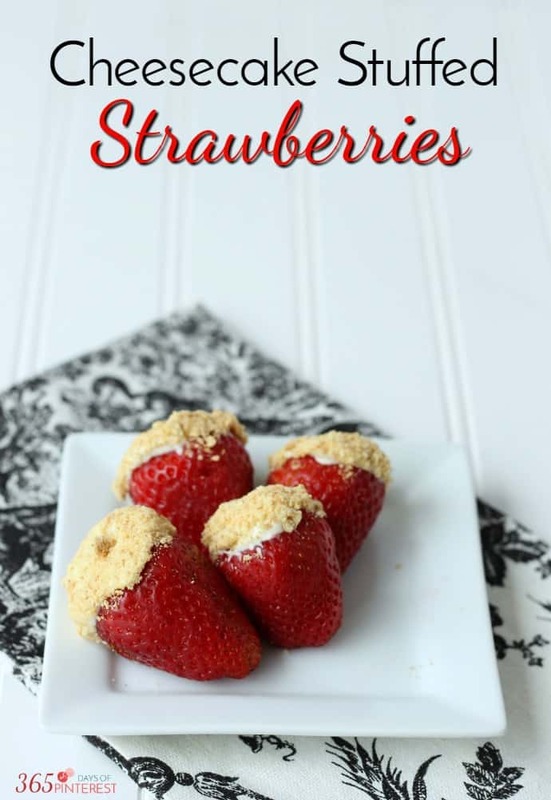 While the cookie mix was baking, we stuffed our strawberries with the cream cheese mixture and dipped them in graham cracker crumbs. I used a baby spoon to stuff the berries, and it was a perfect fit! The finished product was pretty to look at and so very tasty! I will definitely do these again for a ladies meeting. Rinse strawberries and cut around the top of the strawberry. Remove the top and clean out with a paring knife to create a hollow. Prep all strawberries and set aside. In a mixing bowl, beat cream cheese, powdered sugar, and vanilla until creamy. Add cream cheese mix to a piping bag or just use a spoon. 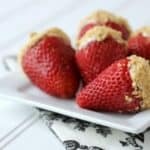 Fill strawberries with cheesecake mixture. 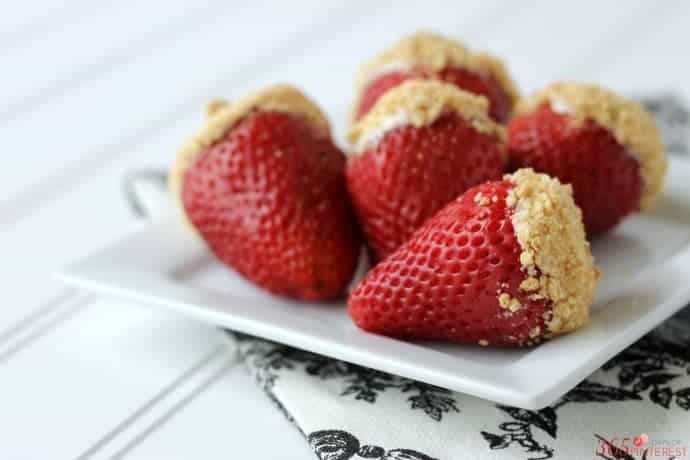 Once strawberries are filled, dip the top in graham cracker crumbs. If not serving immediately, refrigerate until serving. The carmelitas took a little more time, but they were worth the wait. I put the pan in the freezer to cool them quickly. Let’s face it, I’m not the most patient person. That, and it was already after 10:00 at this point (date nights start a little late when you have to do bedtime first) and Doctor Who was almost over. The result was ooey, gooey, deliciousness and the sweet finish to a fun night together in the kitchen. I made these while chatting with followers on Facebook Live. Click “live subscribe” while you’re watching to be notified next time I go live on Facebook! 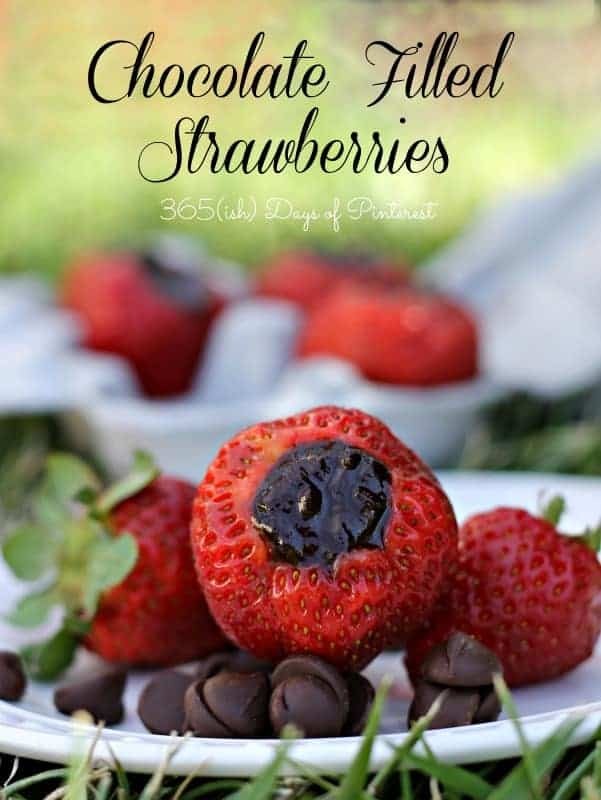 If you like these Cheesecake Stuffed Strawberries, you’re going to love these chocolate filled strawberries! Where is the picture for the carmalitas? The strawberries looked awesome, thanks for sharing!